We specialize in both Commercial & Residential Property Management including HOA Management and service the entire San Bernardino County &Riverside County areas. Our commitment to professionalism is our number one goal. All rent is due on the 1stof each month and is considered late if received after the 3rd of the month. Late notices are sent on the 4th and removal proceedings are initiated if the tenant does not make immediate arrangements for rent payment. We feel that the collection of rent is one of our most important functions of managing your property. Self addressed envelopes are provided to the tenant for ease in making payments as well as payment coupons. If you wish, we will make the mortgage payments (as well as homeowner association payments and other relevant property service payments) for you. Simply supply us with the necessary mortgage payment cards or coupons provided by your mortgage company or homeowners association. Payments can be deducted from your account balance automatically on a monthly basis. If your property has a large, consistently negative cash-flow each month, arrangements are needed to keep an additional minimum balance amount in the account. Copies of all work orders and receipts are kept on file throughout the year. We will be happy to provide duplicate copies of this information at the end of the year to help you with your tax preparations. We want good tenants just as much as you do! We pride ourselves in the quality of tenants we are able to attract. Our extensive tenant screening and credit investigations help ensure this. Applicants are required to complete a rental application and to provide credit information and references. As members of CBI Equifax Credit we run a total credit check on all prospective tenants. In addition, we report any delinquencies to the bureau! This has proven to be extremely effective in stopping late rents. Once a tenant's application has been approved, appointments are made to approve the actual lease agreement. We review the lease thoroughly with the tenant. This gives us a chance to answer any questions and to carefully explain the tenant’s responsibilities as well as our company's policies and procedures. This attention to the tenant’s needs greatly reduces misunderstandings and eliminates many potential problems before they are problems. A copy of the lease agreement will always be sent to you upon execution. We undertake a move-in inspection with the new tenant using the property condition report. We find this helps develop a good working relationship with the new tenant and gives us one more opportunity to encourage our tenants to take pride in their home. Additionally, we use digital recording either by video, or photographic of the condition of the property before and after each tenant. Once again, we want good tenants just as much as you do! We pride ourselves in the quality of tenants we are able to attract. For additional protection, appropriate security deposits are always collected upon completion of a rental application by a prospective tenant. Amount of deposits are based on the monthly rental rate and the credit worthiness of the tenant. Applicants with pets are required to pay an additional pet deposit if a pet is approved by the owner. All deposits are maintained in a trust checking account as required by state real estate regulations until they are either refunded to the tenant upon the successful check-out inspection or are forfeited to cover damages caused by lease violations. Our main job is to protect your investment property. We do this in two different ways. First we make frequent drive-by inspection tours of your property. In addition, we make regular preventive maintenance inspections of the interior of the property. It is stated in the tenants lease agreement that we have the right to make routine announced inspections. Tenants are always notified in writing of pending property inspections. Inspections are conducted with the tenant present, using the property condition report that was executed by the tenant upon move-in. We compare for discrepancies, missing items, and any damage. At the same time we also check for preventive maintenance items. 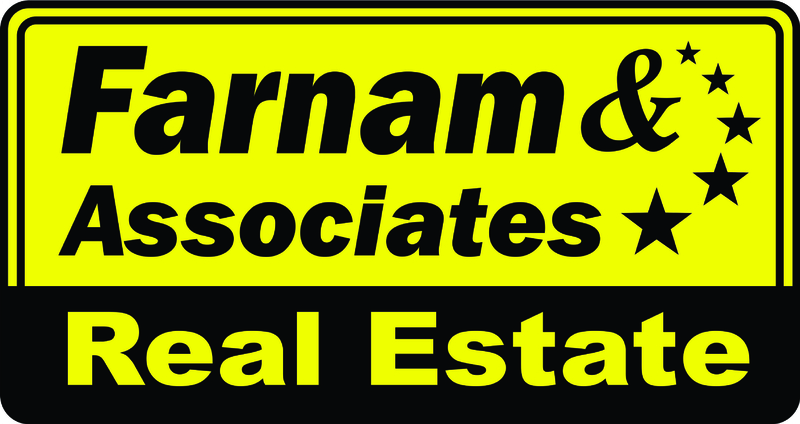 Farnam & Associates Real Estate conducts routine inspections, and tenants who are doing a good job receive a letter thanking them for their time and the care taken in maintaining their home. Tenants who are doing a poor job are also notified, and then we follow up with a second inspection ten (10) days after the tenant has received the failure report. If the tenant has not shown good faith by providing proper maintenance or making requested repairs we will begin proceedings to correct the problem at the tenant’s expense. Timely and competent maintenance is the key to protecting your investment. Our goal is to provide you with this important service at a reasonable price using only qualified personal. All repair and maintenance services are performed by independent, outside vendors and contractors, not by company employees. Each has been selected because of their ability to provide the best possible service at the best price. You reserve the right to schedule and control any or all repair and maintenance responsibilities if you desire. Routine repair and maintenance will be performed as needed and will be based on urgency and importance. For any major job, we usually obtain written estimates from three different companies, notify you, and obtain your approval before we proceed. We ensure the quality of the work performed by making spot checks and follow up inspections. You are further protected because each job is fully documented in writing and supported with receipts.